When Boston Centerless was established in 1958, founder Len Tamasi was committed to creating a company that would become the very best at what it did. Mr. Tamasi’s knowledge and expertise is the foundation for all that we do today. These proprietary processes have been developed over the years, and methodically passed down throughout the organization to ensure that our reputation for being the most consistently superior producer of precision ground bar products and grinding services would remain intact as the company grew and expanded. Today, the company is led by the second generation, Steven Tamasi. He continues to focus on leveraging the accumulated knowledge of our employees to maintain our commitment to producing only the highest quality precision ground bar products. We have extensive ongoing training for our grinding operators to teach them the nuances of grinding along with the benefits of Lean Manufacturing. The average tenure of our precision grinding operators is 9 years. Our most experienced operator has been with Boston Centerless over 40 years. The expertise of Boston Centerless extends beyond the hundreds of years of combined grinding know-how. Having been in business for close to 60 years, we truly understand the needs of our customers. We recognize that dimensional aspects such as roundness and straightness can be as critical, if not more critical, than just the diameter size and tolerance. 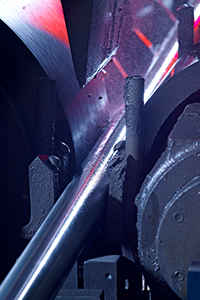 Our long-term relationships with the steel and titanium mills that manufacture the raw material, coupled with our understanding of the various issues which can result from their processing, ensure a seamless, high quality supply chain for you, the end-user of the bars. You will experience the results of our highly skilled and experienced people built into every precision ground product you receive.